With the recent western launch of Yo-Kai Watch 3 I've had a lot of people asking me if it's worth getting into the series. Short answer? "Yes." Although its popularity has waned outside of Japan, for all intents and purposes the franchise has completed its first arc. Nothing has been canceled, just wrapped up and reworked into the grittier future-flung "Shadowside" storyline; which already has a new anime series and is set to debut on the Nintendo Switch this year in Japan. Since I'm going to be asked the above question time and time again through that launch, I figured it would be nice to have a central hub to point to. The best place to jump into the series is with the 3DS trilogy. You can find the first one for roughly $20 and the second game, which launched with two "versions" (think Pokemon, with different creatures), now has a third ultimate edition. Yo-Kai Watch 3 is also fresh off the cart printer after a two-year wait. Here's the thing though, you really can start anywhere. There's a few in-jokes you might not fully grasp if you pick up Yo-Kai Watch 2 or 3 first, but both entries do a good job of catching you up to speed. The "gimmick" of the original is basically just introducing you to a world where yokai (which exist in Japanese folklore) are present. These rambunctious spirits are anything from benevolent to violent and occasionally "haunt" people to influence their behavior. 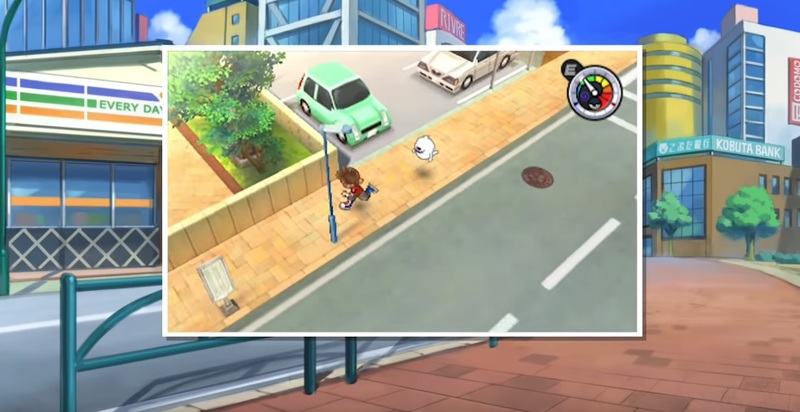 Although many comparisons to Pokemon have been used in the past (including above), Yo-Kai Watch sets itself apart with a more carefree slice-of-life tone. Nate Adams, the "Ash" of the series, isn't always saving the world or training to be a world class master fighter. It also isn't afraid to take on more mature themes or make a self-aware poke at consumerism. Sometimes your quest is to get ice cream and be back before bedtime. Or, to solve a haunting and make a friend along the way by acquiring their "medal," thus adding them to your party. It's all rather unpredictable yet chill, which is why I'm so drawn to it. Yo-Kai Watch is content with slowing things down just enough so you can enjoy the countryside of Japan and laugh while you're doing it: that's a rare gift. The second game's gimmick involves traveling to Japan's past 60 years ago and once again, you can just start there as the core of the original is summed up in the first few hours. 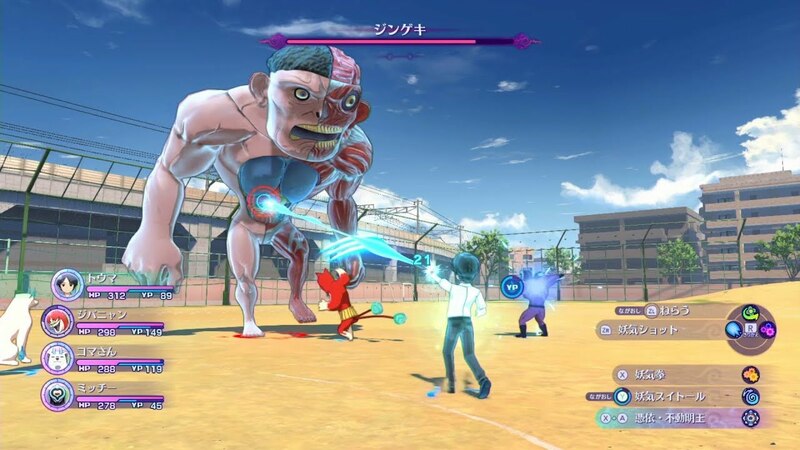 If combat is really important to you (it is to me, sure, but I prefer worldbuilding first and foremost in an RPG) you'll want to start with Yo-Kai Watch 3. The first two entries sport a more simplistic combat system that you might find too passive. Other current western releases include Yo-Kai Watch Blasters, an action-oriented spinoff with a mixed reception. 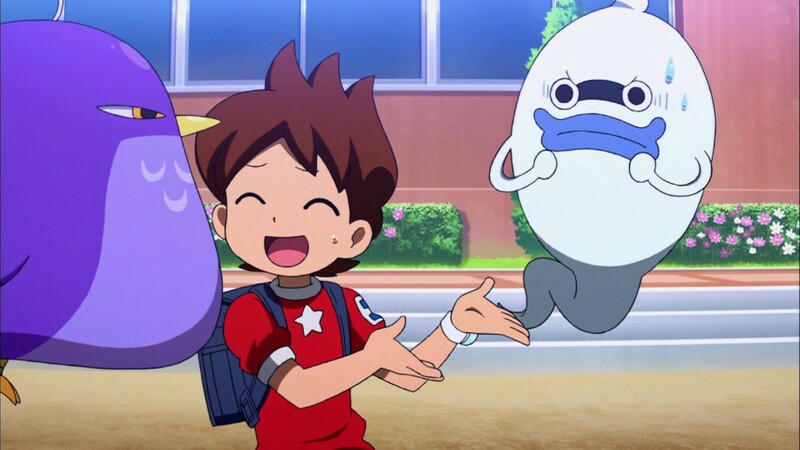 I'd wait to see if you love all three main entries before you dive into that one (Yo-Kai Watch 3 also has a modified, more engaging form of Busters baked into its storyline). Here are our reviews for Yo-Kai Watch, Yo-Kai Watch 2, Yo-Kai Watch 3 and the first Busters (known as Blasters in the west). What should you check out after one of the games? Your first stop is the anime. Currently you can stream the inaugural season and original feature film on Netflix, though the show airs on Disney XD. I recommend watching the movie after you've finished the first season. After that you'll need to track down the remaining two seasons (most of which is available for purchase on Amazon Video). The original run of the anime aired between 2014 and 2018 in Japan and consists of 214 roughly 20-minute episodes, most of which have multiple storylines or shorts. Following the OG narrative, Level-5 moved on to the aforementioned Shadowside show that features Nate's kids and many of the same characters, just slightly more formidable with more of a focus on action. Shadowside, as well as the second, third, fourth, and fifth films have not been released in the west. The fourth movie is a lead-in for this new generation and the fifth is a prequel. Why didn't it succeed in the west? 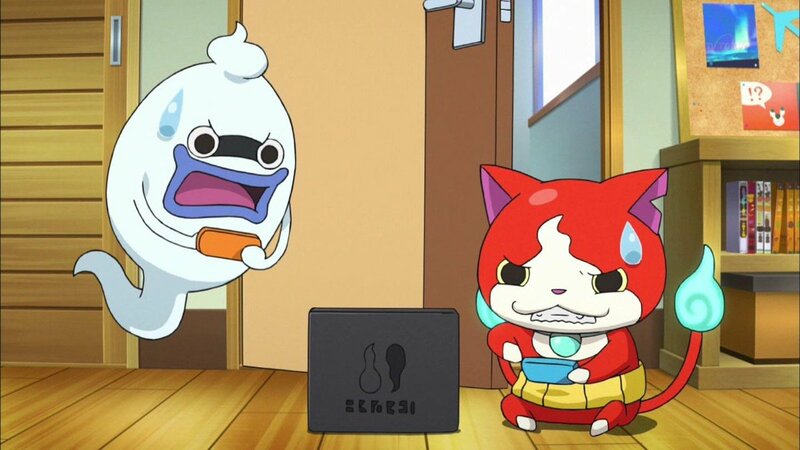 Reasons why Yo-Kai Watch didn't break through outside of Japan include but are not limited to: the fact that Japanese folklore always had a limited appeal in the west, that Level-5 took too long between localized releases and didn't strike while the iron was hot, there were too many cooks in the kitchen and too many licenses to juggle with the massive rapid cross-media push, different toy SKUs caused confusion in Japan and burned out collectors and of course...luck. Originally Yo-Kai Watch debuted in Japan in 2013 and reached its absolute peak a year later in 2014 when the sequel arrived. Having been to Japan during that time I saw this boom happen with my own eyes: there were more Yo-Kai Watch advertisements and merch flowing in the streets of Tokyo than any other property, Pokemon included. Even people I spoke to that didn't play games were aware of the series and knew of Jibanyan, the cat mascot. The catchiness of the main theme helped and many folks worldwide are already aware of some of the creatures like the Kappa and the Tengu, which have proliferated mainstream culture. Disney World even had an exhibit for many years in the Japan portion of Epcot that featured several yokai. Reality set in for the west in mid-2016, when the first game was released in North America and pushed 400,000 units on 3DS. Level-5 noted that the mark was "below expectations," but was still happy. By comparison, it crossed the 1.3 million mark in just over a year in Japan. Level-5 had to temper their expectations and make some cuts. Hasbro was the first to leave, abandoning the toy line in North America in 2017. Contracts were reworked for the English cast of the anime, replacing them with a new production company for season three. Yo-Kai Watch Dance, Sangokushi (the cool-looking SRPG Three Kingdoms spinoff), and Yo-Kai Watch Blasters 2 remain Japan-only along with a heap of mobile games. Yo-Kai Watch is still very much alive, though the fourth game on Switch will in many ways decide if the fate of the series is sealed in Japan (that is, if a localization is even announced). Going from a 55.2 billion yen boom in 2014 to below six billion yen in the last few years isn't a failure. As I hypothesized above, it just means Level-5 needs to reevaluate its "open the floodgates" style in the past that relied on so many other outside parties and stick with what works. Right now, that's releasing numbered games in the west with the partnership of Nintendo, who has stuck by them for the past four years. Outside of Japan, the toys (and series) also do very well in some parts of Europe and Animax Asia has licensed the rest of the original anime series and Shadowside. There is a market, it's just not as ravenous as anticipated. Shadowside seems to be the future of the series. The idea this time around is that each Yokai has a "light and dark" form, allowing them to get cute or get terrifying on a moment's notice. Think of it like the series reaching its Harry Potter and the Prisoner of Azkaban moment. 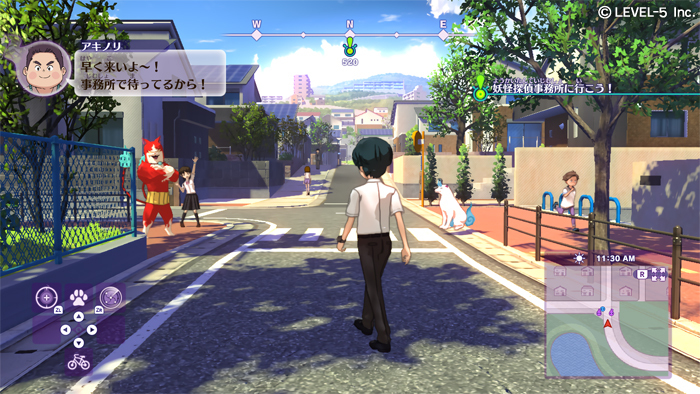 Having seen the show I think it mostly works (even if it's not nearly as great as the original), and the reception at tradeshows for Yo-Kai Watch 4 has been overwhelmingly positive in light of a delayed launch (just look at this screen with Japan's majesty in the background: it's like Ni No Kuni level beautiful, which Level-5 also handles). I'm almost all caught up on the original anime run and I'm up to date with all of the localized games. 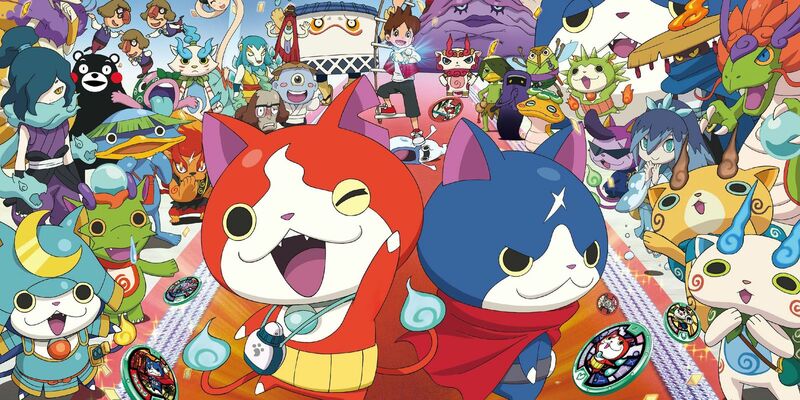 If Yo-Kai Watch is going to be relegated to Japan going forward I'll be disappointed, but it makes perfect sense. Just because that's happening, though, it doesn't mean that Yo-Kai Watch isn't worth getting into.